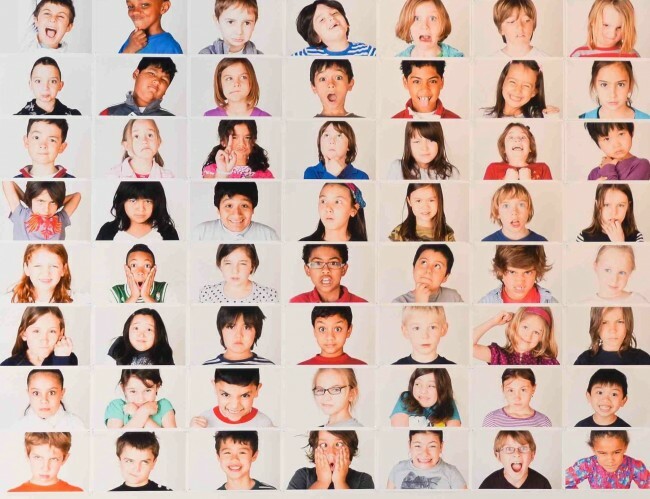 Artwork showing the faces of PS 58 kids. The piece was shown at Invisible Dog Gallery in February 2012. Some folks asked me recently, so I thought I’d repost a story we did in May, reporting that the rezoning proposal for P.S. 58 The Carroll School is off the table, and not under consideration. Community Education Council District 15 President Jim Devor had asked the N.Y.C. Department of Education to look at cutting off the zone for P.S. 58 at Smith Street, in order to address some crowding concerns at 58, and also to bring a bigger population and more diversity to Public School 32 on Hoyt at Union. But the city declined to consider such a rezoning.